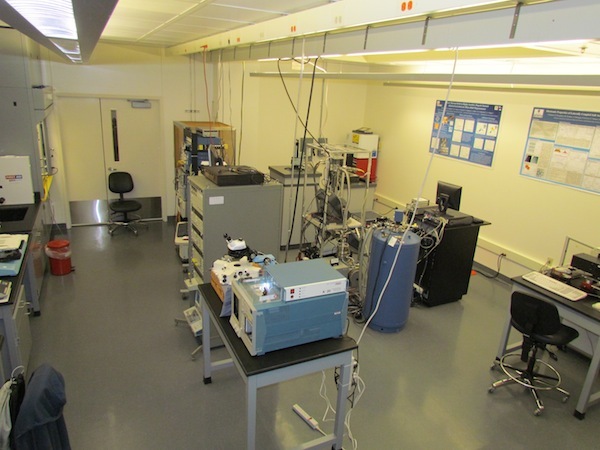 The Electrical Characterization Laboroatory was started in 2004 at the Center for Semiconductor Physics in Nanostructures (CSPIN), a Materials Research Science and Engineering Center (MRSEC) supported by the National Science Foundation (NSF). The laboratory focuses on molecular beam epitaxial (MBE) growth, electrical and magnetic properties of self-assembled laterally ordered III-V semiconductor quantum wires and quantum dots, narrow band gap InAs and InSb materials with high electron drift velocity, III-nitride materials and Mn based III-V diluted semiconductor compounds. The primary goal is to study the physics of nanoscaled materials and provide a solid foundation for creating and improving solid-state devices. Providing high resolution spectral measurements. Much if not all materials properties can be probed by clever choice of light wavelength (color) and environmental conditions. In many cases however, the heat from the world around us disturbs or masks the fundamental physical properties and processes which we want to observe. Therefore, cryogenic temperatures are used. This is around 4 K or 270 degrees below zero Celsius. Not only do we change the color, but we change the duration of exposure to the light. This is like using a very fast flash on your camera. The faster the flash, the faster the process in the material that you can observe. 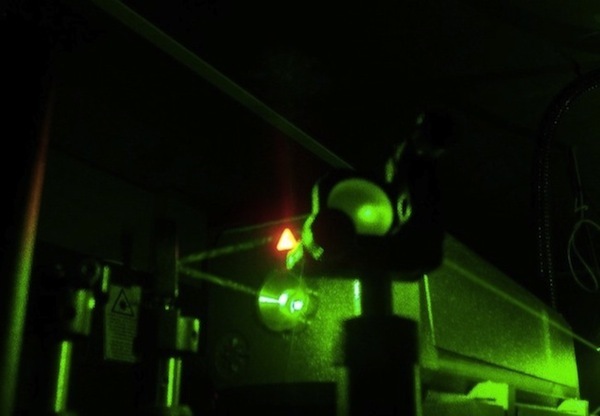 We are capable of observations down to about 100 femtoseconds or about a ten thousandth of a millionth of a second. On the nanoscale, all of the normal properties of materials change in ways predicted sometimes by quantum mechanics. For example, gold can become red or blue or violet depending on it’s size at the scale of nanometers. These kinds of unique examples of nature on the nanoscale are what we try to learn from this laboratory.